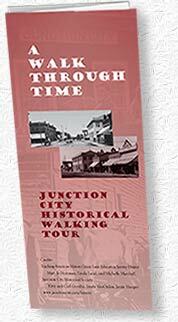 Travel through time with our free audio Historical Walking Tour! A Walking Tour brochure and audio guide are available at either museum. It's a fun and interesting way to learn more about the history of our town - and a perfect activity for families! First Thursdays from 2:30-4:00 and every Saturday 1:00-4:00). But you can also download both of them right here to use anytime you want! There are 22 MP3 files in a zipped package, so be sure you know where you save it. Then just RIGHT Click (or CTRL Click for Mac) on the zipped file to open them up.